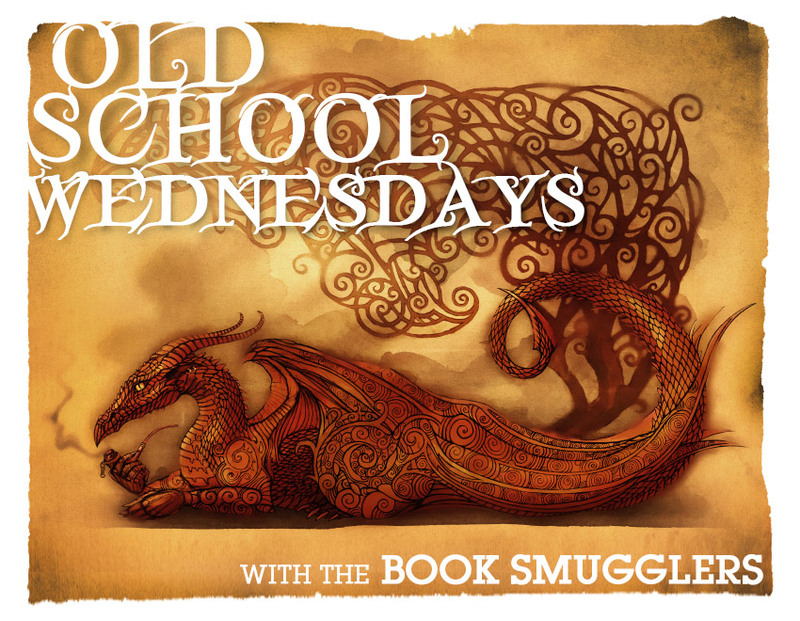 Old School Wednesdays Old School Wednesdays is a weekly Book Smuggler feature. We came up with the idea towards the end of 2012, when both Ana and Thea were feeling exhausted from the never-ending inundation of New and Shiny (and often over-hyped) books. What better way to snap out of a reading fugue than to take a mini-vacation into the past? 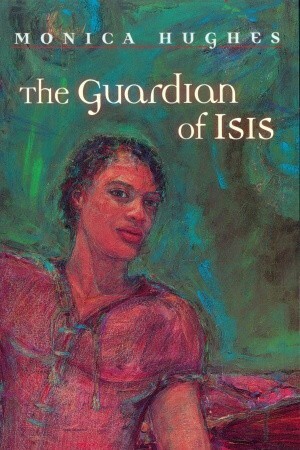 Today, it’s Thea’s turn with a review of The Guardian of Isis by Monica Hughes! Years have passed on Isis, but life has gone backward, not forward. Under their leader, Mark London, the settlers have abandoned the technological knowledge of their forefathers. Upper Isis is now a forbidden zone, and the history of the first inhabitants from Earth has been replaced by myth. But one inquiring young man yearns to know the truth, and soon he gets the chance to find it. Why did I read this book: Just a couple of weeks ago, I discovered the Isis trilogy by Monica Hughes (this, after having read loved her SF dystopian novel Invitation to the Game). I instantly devoured and fell in love with Keeper of the Isis Light, so moving on to book 2 was a no brainer. It has been decades since the first human colonists arrived on the distant planet Isis, bringing with them their hopes and dreams for new life on a system far away from the overpopulated, crowded and dying Earth. It has been years since Olwen, the keeper of the Isis light, and her Guardian have left the colonists on their own, withdrawing to Isis’s great mountainous heights after feeling the pain of rejection and heartbreak. Three subsequent generations have been born on Isis since those early first days, and with the passage of time, the colonists have quickly lost their knowledge and their science. Only a few of the original colonists – the Firsts – remain alive, including Isis’s president, Mark London. Under the President’s decades-long rule, Isis’s history has been rewritten; the colonists journey from the stars treated as a legend, technology replaced with superstition and magic, the memory of Olwen transformed into a hideous bogeyman that comes to take unruly men and women to their deaths and the Guardian elevated to God-status. Jody, the youngest of the Thirds (therefore of higher rank and importance than all of the Fourth Generation), has always questioned the things that the President and his Council members have called Taboo. Irrepressibly curious, with a head full of dreams and inventions, Jody dares to defy the ways of his people by asking the question: why. As the threat of very real danger faces the people of Isis, it is Jody’s curiosity and tenacity that will spur him beyond the valley he has known his entire life, to seek the fabled Guardian, to uncover the truth of Isis’s past, and safeguard his people’s future. The second book in Monica Hughes’ YA science fiction Isis trilogy, The Guardian of Isis is a fascinating departure from the first book (which was much more of a traditional futuristic science-heavy sci-fi novel). After the heartbreaking events of Keeper of the Isis Light, the second installment leaps forward three generations, and examines the power of denial and the fluidity – the impermanence! – of history and knowledge. In fact, Guardian is a dystopian novel, in which a dictator has changed the world to his liking, erasing history and molding the future of his fellow settlers in order to cover up a past that is too painful for him to bear. I have no problem imagining the wide-eyed, idealistic Mark from the first book turning into the bitter old man of this second novel, and his motivations for burying the truth are resonant and believable. What I’m not entirely convinced of, however, is how quickly all this knowledge and history has been lost to the people of Isis. Others of Mark’s generation are still alive, including protagonist Jody’s namesake (remember him? The young boy of the first novel?) and grandfather. Would so many others of Mark’s generation go along with his lies? And WHY would they on such a hostile planet, when their technology could help so easily make their lives better? These others also would have come from Earth, would know first hand what technology is real and what stories are false, and the uniform compliance with Mark’s newfangled Luddite society is questionable – although perhaps within the realm of reason, especially when you take into consideration the elder Jody’s mysterious crippling injuries (I get the feeling that President London has killed and maimed anyone opposing his power). Worldbuilding and premise aside, The Guardian of Isis also invests heavily in the strength of its protagonist, Jody N’Kumo. Curious, intelligent, and ever-questioning rules that don’t seem to make sense, Jody is an instantly likable, relatable character. As this IS a dystopia, Jody is the classic dystopian hero – challenging the established order and unwilling to take things at face value, especially when lives are at stake. Refreshingly, unlike the wave of new YA dystopian novels, Jody’s struggles are focused SOLELY on the crisis at hand; the threat of imminent doom is very real, the opposition from the President a dangerous and terrifying thing. (Also refreshingly, there is no romance – because sometimes saving your people from a willfully ignorant death is all you have time for as a protagonist) I also very much appreciate that Jody is a black protagonist of mixed race, especially in a YA science fiction novel (one written in 1981, no less), although I’m a little disappointed that there isn’t any further examination of race or gender in this book. In particular, we hear many times that women in President London’s new world order have been reduced to little more than servants with no power of their own – Jody frequently reflects on how he’s glad he is not a woman and how bitter his Aunties and mother are – but we never really see this patriarchy challenged or discussed in any deeper way. Perhaps that will be covered in the next book? While this second novel isn’t as grand or rewarding as Keeper of the Isis Light, it’s still a very, very good book and one that ends on a hopeful note. Will Mark be able to lead his people out of their sheltered valley and from the mantle of ignorance and oppression? I’m happy that I already have Pedlar of Isis on my TBR – so I’ll soon find out how it all ends for our intrepid planetary colonists. Great review! This is my first time visiting your blog. Love the font of the lower case headings.